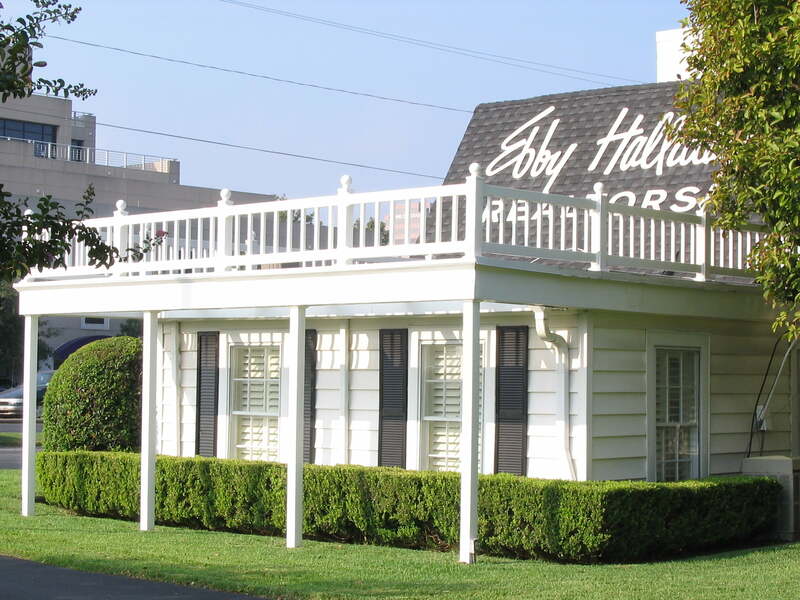 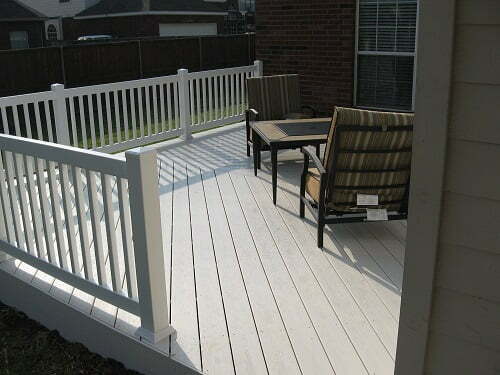 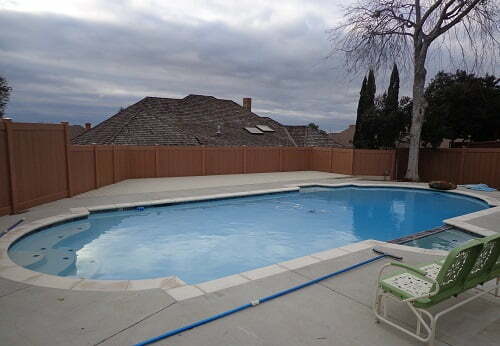 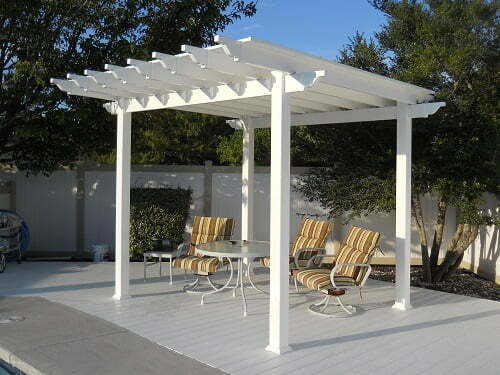 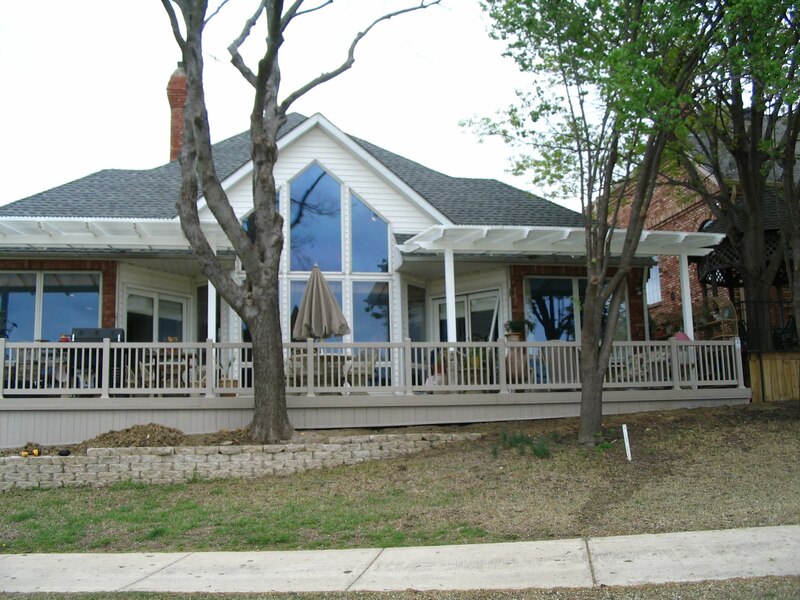 Although decks and railings are usually built out of wood, we believe that vinyl is a superior option. 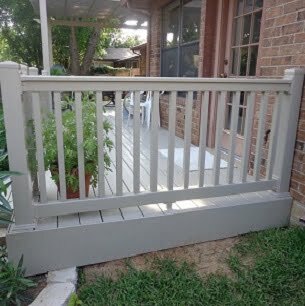 Wood can look great at first but requires a lot of maintenance and still has a relatively short lifespan. 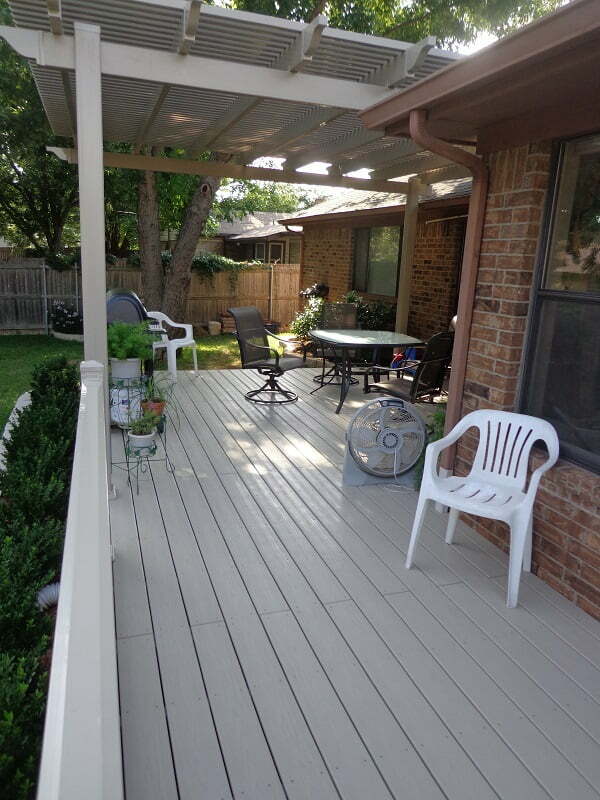 Vinyl and composite materials last longer and require little to no maintenance. 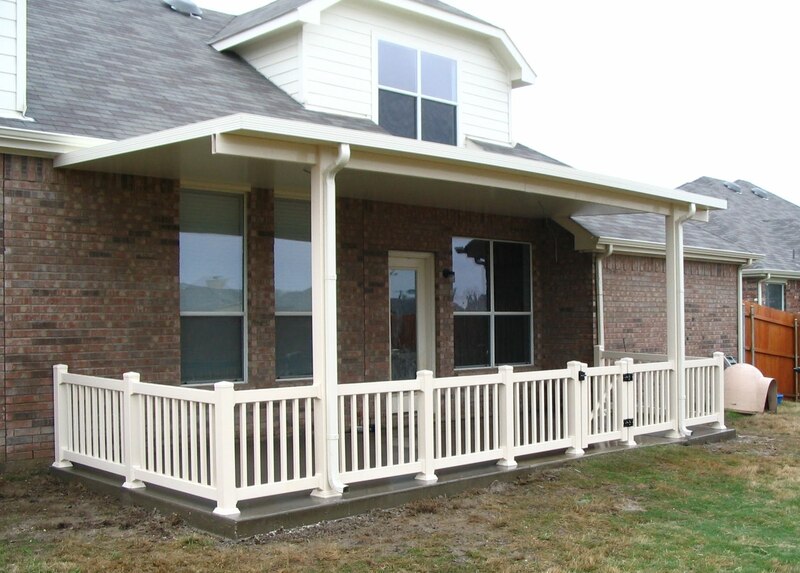 Vinyl holds its color longer and lasts longer than composite materials. 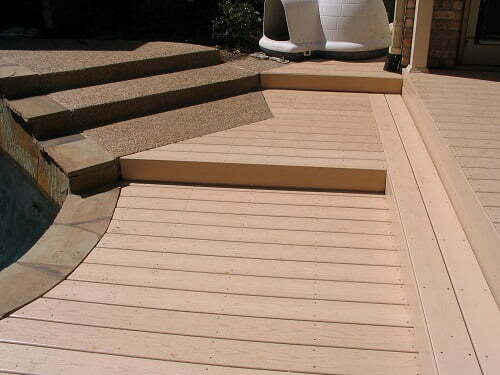 Vinyl also generally retains less heat than wood or composite decks. 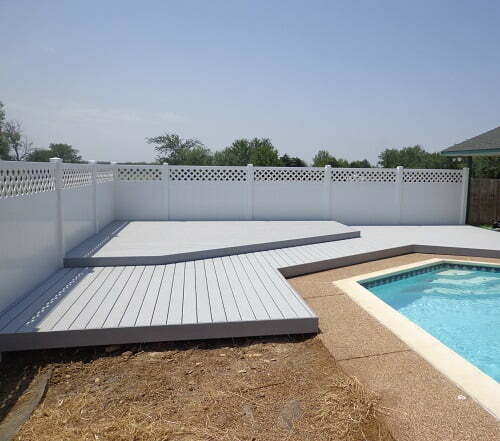 Vinyl requires no maintenance, comes with a life-time warranty and looks beautiful. 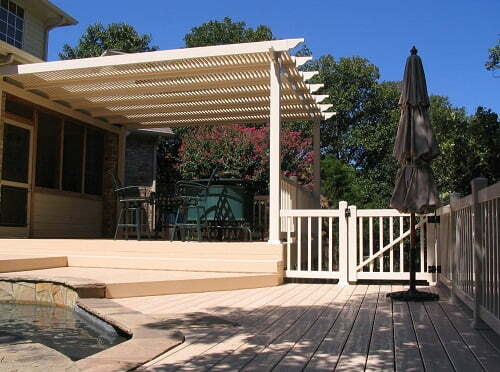 Several color options are available to match or compliment any environment.